Looking to just copy data into another workspace? Check out our Copying Data article. What you should know first. 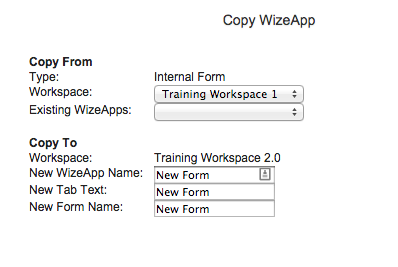 When you copy a workspace, all form templates copy into the new workspace. Unfortunately, however, there is no way to easily copy a form within a workspace. What we have presented below is a workaround, and thus it is highly recommended you reach out to your Implementation Specialist if you do not feel comfortable regarding the steps below. You have several rounds of review, and each uses a different review form. However, there are many similarities between the review forms. You have several followup forms within a workspace, each of which serves a slightly different purpose or is targeted towards a different followup group. However, the forms share a lot of commonalities. 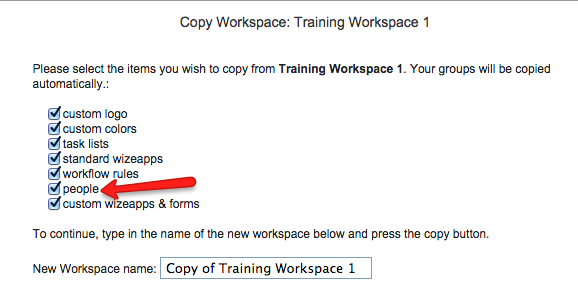 On your workspace listings page, locate the workspace that contains the form you'd like to copy, and duplicate it. The duplicate workspace will only be used temporarily, and having a second workspace will not jeopardize your users or data. It is recommended you uncheck People so that you are the only user in the new workspace. 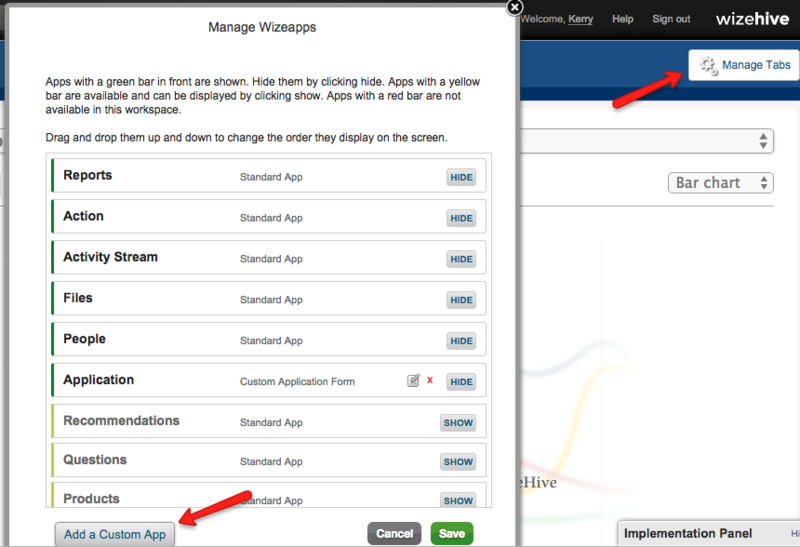 In the duplicate workspace, go to Manage Forms and Add a Custom App. You should now create an Internal Form, and select the form to be copied as the Internal Form. 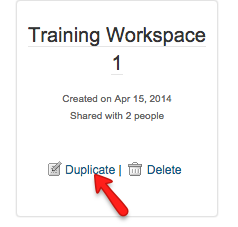 Save this new form in the duplicate workspace. 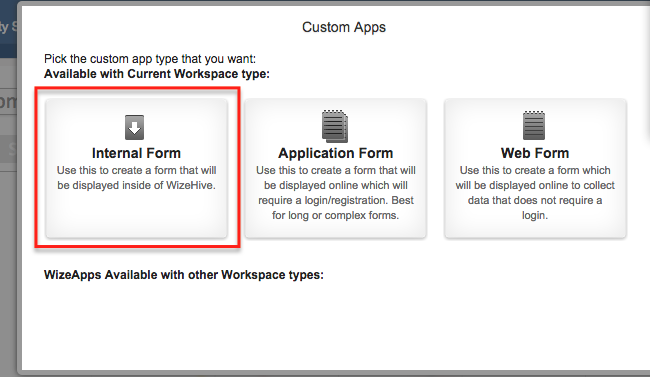 Return to the original workspace and go to Manage Forms and Add a Custom App. Select Internal Form again. Select Copy settings from another app. In the Workspace dropdown, select the duplicated workspace. Then select the form you want to copy. In the next 3 fields you can name this form. Be sure to name it something meaningful that differentiates it from the original.